Body & Spirit Mosaic, a wall mosaic created for the East Belfast NHS Bradbury Centre. 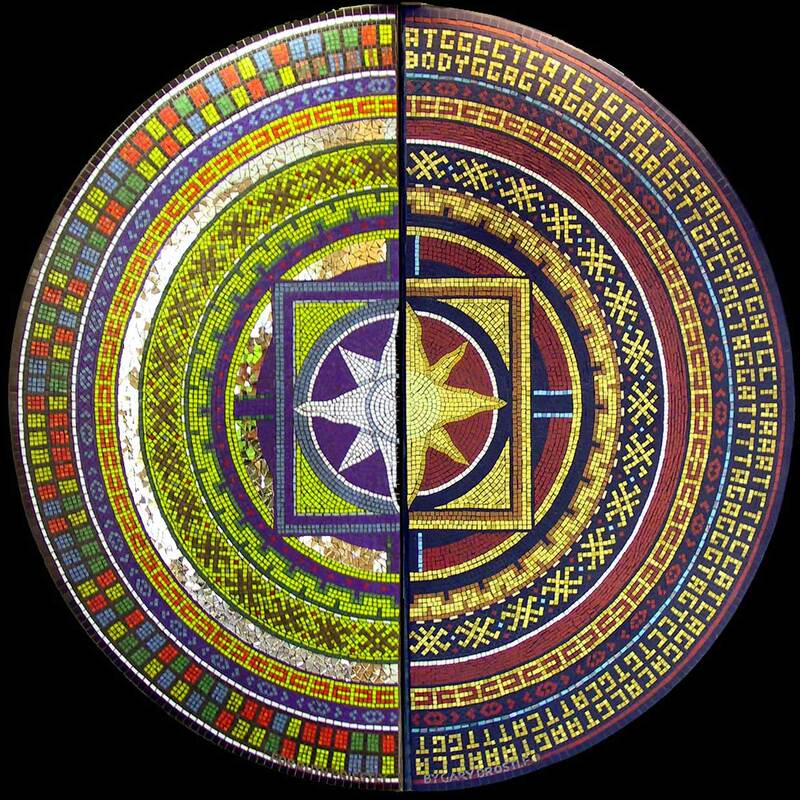 The mosaic represents Body and Spirit divided through the centre by a bisecting glass wall so that each side reflects in the other. The left hand side (Spirit) is located in the children’s area symbolising the spirit as forever young and is made from glass and mirror mosaic. , The right hand side (Body) is in the adults waiting area, symbolising earth and body and is made from ceramic. The mosaic was dedicated to the memory of the Belfast artist Ruth Priestly by Gary.